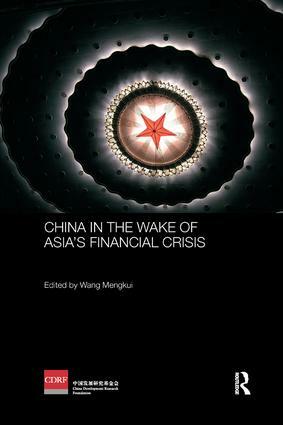 This book examines China’s response to the Asian financial crisis of 1997, both in its immediate aftermath and in the years since. The crisis caused turmoil throughout Asia’s economies, and precipitated wholesale reform of economic and financial policies and institutions across the region. As one of Asia’s largest economies, China responded to the crisis more successfully than many others, avoiding devaluation of its currency, whilst undertaking financial reform, restructuring state-owned enterprises, rural development, and social security systems. This book considers all of these issues, showing how the lessons drawn from the crisis have helped shape China’s policies of liberalisation and market-orientated reform, including its attitude towards globalisation and the outside world in general. Based on research conducted by the China Development Research Foundation, one of China’s leading think-tanks, this book includes contributions from senior policy makers in the Chinese government and some experts participating directly in the government’s policy-making process to assess the effects generated by the country’s related policies, making it an indispensable account of China’s own thinking on its response to the financial crisis.